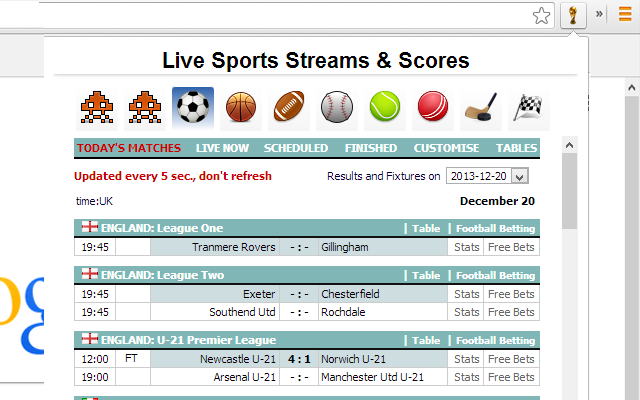 Sports live scores, straight to your browser. Watch free live sport & track live results with Google Chrome. Live Sports extension will bring to you every sport match scores. 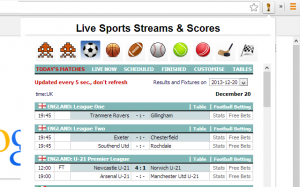 Live sports Scores for: Soccer, Football, Basketball, Baseball, Tennis, Cricket, Hockey, Rugby & Racing. 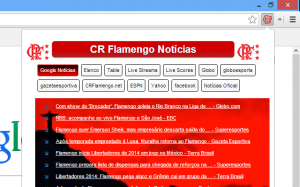 CR Flamengo News Reader, notícias, dispositivos elétricos & vivo córregos esclarecer as mais recentes tabelas de notícias & fluxos para Flamengo. Nota: Isto não é um produto oficial do CR Flamengo. Arsenal F.C. 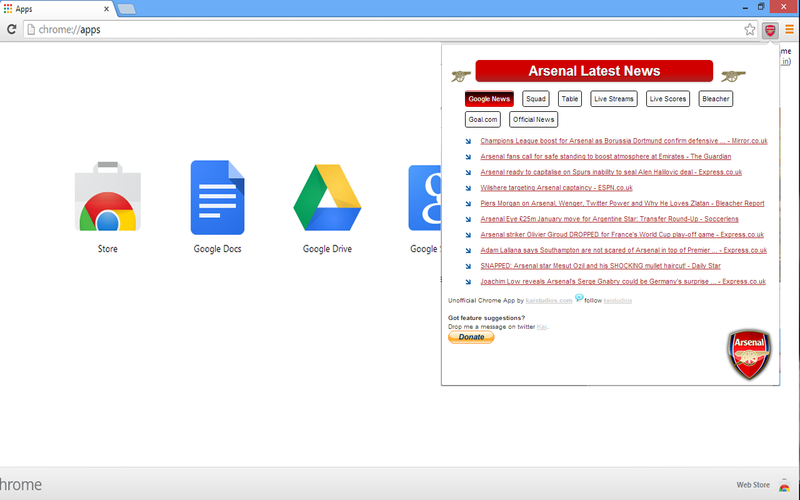 News Reader, Fixtures & Live streams for Arsenal F.C. 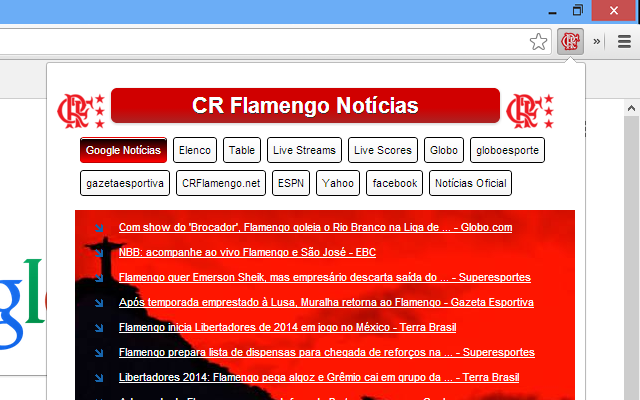 get the latest news tables & streams in one place straight to your browser. Note: This is not an official Arsenal F.C. product. Get the latest news, standings & streams in one place straight to your browser. Note: This is not an official Manchester City product. This are the apps I use regularly during 2013, these are android apps but available for the iphone and iOS. A bad design is worse than no design at all. That’s a fact. “For the love of your business, you should just pass it up. There’s nothing more expensive than a free Web site. Your prospects will check out your Web site first to learn more about you. With a bad design, potential customers will go away thinking that your business is, at best, amateurish, and at worst, completely inept. search engines will not index your web site and therefore will not rank your web site high on their search results, resulting in no traffic or bad traffic to your Web site. Good web site design is vital to maintaining web presence and ensuring web profitability. 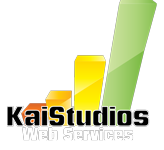 Kai Studios Internet Design and SEO Specialists can help. Our designers can discuss the needs of your business and come up with the best design for your purpose. When you purchase a Top 10 Search Results package, our Search Engine Optimization (SEO) experts will optimize your Web site in order to ensure that your site will be listed on the first page of the search results in the major search engines. Because search engine optimization is a complex, cumulative process, your site’s presence in the top 10 search results is expected to show within 10 months. However, many of our customers see their sites listed within the top 10 within 3 months. To accelerate the process, you may want to consider a Link Building Service in conjunction with a Top 10 Search Results package. You select the Top 10 Search Results package that is right for your business. You may wish to consider a Link Building Service package and/or an optimized Press Release in conjunction with a Top 10 Search Results package. When used together, these three tactics can significantly increase your Web site’s visibility in natural search results. If you need help deciding, please contact us at 310-435-0409. Our online marketing specialists can help you formulate a search engine marketing strategy that meets your needs – and your budget. They correspond to terms or phrases that people frequently use to conduct a search, i.e., they can be expected to generate significant traffic. The keyword phrases are specific enough to your Web site that clicks from the search engines will be highly targeted leads. We research these keywords to determine how they meet the above criteria, and send the results to you. You approve the list or suggest additional keyword research. If you suggest additional research, together we will work through up to 3 rounds of revisions to this keyword list to be sure that we identify the best keywords for your business. We send you the final list for your approval. We use the final, approved list to develop specific keyword phrase text or to modify existing content (see Phase 4). Validation of your site’s home page HTML code and text. Minor adjustments may be made to enable the page’s code and/or text to be more easily crawled or spidered by search engines. Review of your site’s links to identify any broken links or images and other seo friendly elements. A check of your site’s server status for problems or errors at domain & hosting levels. We will create additional content for your web site based on your final keyword list (from Phase 2) or optimize your existing content. We then integrate these keywords into optimized pages on your Web site. We submit your domain name to major search engines and directories. We create links from your home page to your newly optimized pages and develop a site map for your site and submit to the search engines. We run an initial ranking report on your site to determine where your site may already be indexed in the major search engines and their databases, and we send you this report. After all the necessary steps have been completed to ensure your site is optimized & presence in the top 10 search results, we send you a submission report, ranking report and additional tips for keeping your site optimized for search engines going forward. In the months after completion, we provide ranking report to help you track your progress in search results. Questions about Top 10 Process? Make it as easy as possible for search engines to parse your quality content web pages and get good inbound links with a link campaign to show search engines that your web site is important and trust worthy to achieve top 10 search engine positioning and improve web site traffic over Bing, Yahoo, Google and other major Search Engines & Directories. Using ethical search engine optimization techniques, your web site should be useful and interesting to web surfers as well as readable by the search engines. If you have such a web site, make sure that there are no technical errors that prevent search engines from indexing your web pages. If you have a great looking web site that is meaningless to search engines, you won’t be able to achieve high search engine rankings with that web site – no matter how good and interesting your web site content is. To search engines, your web site can look like a one page site with hardly any content. It is very important that you choose a reliable hosting company. If your web server is down when search engines index your web pages then search engines cannot index your pages. Some web servers return an error message when a search engine spider wants to access a web page. It’s important that you make the content of your web pages search engine ready. Search engines must be able to find out what your web pages are about. If you put lots of keywords in your web page title, the meta tags and the body text of a web page then the web page will be somewhat relevant to many keywords. If you want to get high rankings on search engines, then the web page must be very relevant to a search term. Only highly relevant web pages can get high search engine rankings. Search engines can find out which other web sites belong to you. In addition, the web site used the same meta description tag on dozens of pages. This can cause problems with search engines. Some webmasters still believe that search engines will list their web sites if they just submit it. That’s not the case. Many search engines require at least one inbound link before they list a web site. In addition, the big search engines also rank web pages based on the number and quality of the inbound links. However, If inbound links are built too quickly, they don’t have a positive effect on the link rankings of a web site. Reciprocal links should be from related sites that have something in common with your own web site. Reciprocal links with unrelated sites don’t help. Links from a “bad” site might hurt your ranking. A single spam element can destroy all of your SEO work. If you use hidden text or other spam elements on your web page then many search engines won’t list your web site, no matter how great its content might be. If you use white text on a white background, text in invisible CSS elements or similar elements that might be interpreted as spam then you should remove these elements as soon as possible. It will be difficult to get high rankings if your web pages contain spam elements. The Email Marketing Service That Allows You To Easily Track Sends, Opens, Clicks, and More! iContact is Trusted by Small Businesses, Fortune 500 Companies, and 166,867 Users! iContact is an Email Marketing and Surveying Application that makes it really easy to create, send, and track email newsletters, surveys, and autoresponders. Sign up today for a 15 day free trial. Try iContact now! Makes Email Marketing Easy! Collect site visitor email addresses or use your own permission-based list, then create and send targeted, professional email newsletters and promotions, and track your results. All you need is a browser. Simply select a template, drop in your unique message and graphics, and schedule delivery. Constant Contact does the rest! Try it FREE for 60 Days! Search for local business listings by name, key word, or location with satellite maps. Local has business reviews, top rated services, and events near you. … City Guide · My Local · Directory. Local Search by Yahoo! Use Citysearch City Guides to get reviews and directions to top restaurants, events, night clubs, shops, services and more, in cities across the country. Infogroup is a major business directory whose data is used as a starting point by many local search engines. If you have a new business, or have moved addresses or changed phone numbers, it is essential to update your information with them. A company called Marchex operates network of Local search websites under the umbrella of OpenList.com. Submitting your business to OpenList.com can often lead to listings on multiple websites within this network. Superpages.com is a top online resource for finding information and insights on businesses and retailers. Google and Yahoo often “double-check” Superpages.com to make sure they’re showing correct business information. Here’s where to claim your listing. Yelp is a very popular Local information portal on the U.S. West Coast, and in certain industries across the rest of the country. If you are in the hospitality industry, especially bars and restaurants, it is essential to claim your profile on Yelp. Citysearch is a major competitor of Yelp that charges you to claim your business listing. It can be expensive but again, if you’re in the hospitality industry, it’s probably worth the investment to claim your listing on Citysearch.